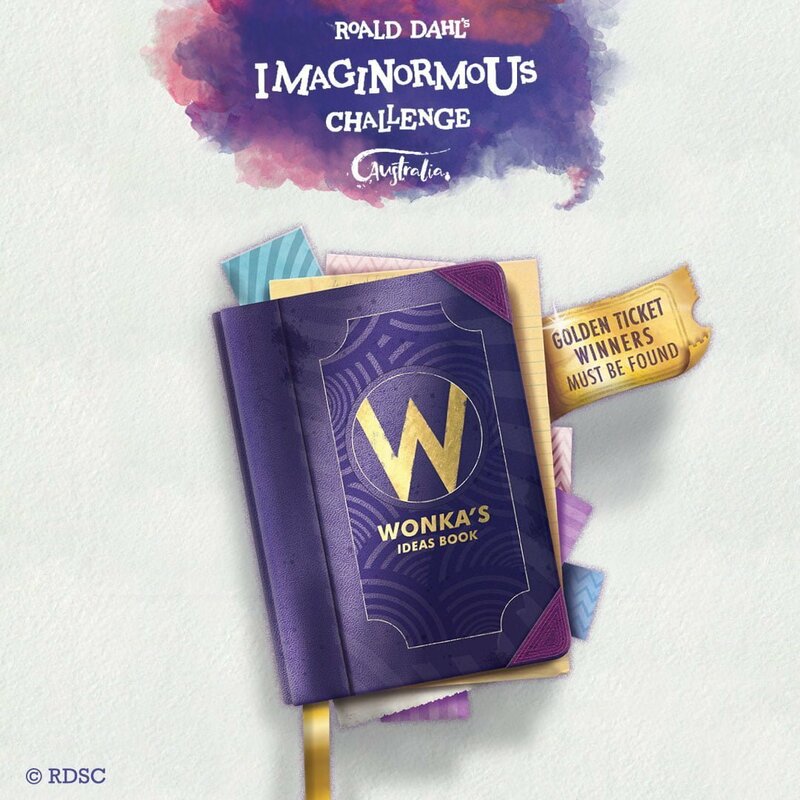 Did you always dream of winning a Golden Ticket to enter Willy Wonka’s Chocolate Factory to sample the Oompaloompa’s, fizzy lifting drink and all the scrumdiddlyumptious chocolate you can get your hands on? Well, we might have the next best thing – for the first time, Roald Dahl’s Australia publisher, Penguin Random House, is bringing the Imaginormous Challenge to Australia. Willy Wonka is searching for the most exciting, most brilliant story ideas from 5–12-year olds across Australia to transform into magical creations. A Theatrical Creation – the team and cast of Charlie and the Chocolate Factory will turn one winning story into a snozztastic, toe tapping theatrical creation! Junior Reporter – spend time as a Daily Telegraph junior reporter and then review the new musical Roald Dahl’s Charlie and the Chocolate Factory, and have your report featured in the school holiday guide. Your Own Minecraft World – you’ll fly to Sydney for a 1-day experience at the Microsoft Flagship Store and build your own world with a prominent YouTuber, taking home an awesome Microsoft prize pack! Your Own Book – become an author! Working alongside one of Penguin’s esteemed editors and illustrators, your idea will be turned into a book and we will have a complete class set delivered to your school! All major prize winners will be flown to Sydney to see Charlie and the Chocolate Factory the musical. Aimed at children aged 5-12yrs you can find out all the details at on the website here. Spelling and grammar are not of concern as there will be only one judging criterion – Pure Imagination! Should we be encouraging sampling of Oompaloompa’s?